Ad servers are useful application for publishers. If you are a publisher, you find it easy at the start. However, as you go on doing more and more business, and get more ads, you are likely to find it hard to manage the business. Under this situation, ad servers are of great help. An ad server is a piece of software application, used on different platforms and different purposes. Ad servers make the job easy by posting ads. However, having ad servers brings more benefits. 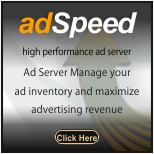 Ad servers will help you target your ads properly. In other words, it can easily and properly manage the ads. What are the advantages of having your ad server instead of a third party? Having your own ad servers eliminates the need to depend on other ad servers. Hiring third-party ad servers you need to pay. Whereas if you have your own servers, you do not have to spend money. You will have the complete control and access on your website’s data. This is not so when you have third-party ad servers. This is because in case of third-party ad servers, the technology you use is theirs. This enables them to access your business data. Over a period of time, it will benefit the ad server business more rather than your business. As the owner of a small business, it is not good for your business to share information on the privacy of your business like the number of visitors, clicks, amount of profits earned, etc., to share with a third-party. Having your own ad servers will remove this undesirable consequence of third-party ad server. When you hire a third-party ad server, you will get the results from them after some time. This may vary from a few hours to several hours. This is because, such ad servers might have different websites that need to be worked on for segregating the ads and send the result to each client. Whereas having your ad server would help you know the results of the ads as and when you need to see. You will know the results immediately. This is helpful, because you could make any changes if required, and you could protect your business from wasteful expense, which you cannot do in case of third-party ad servers. If you hire multiple ad servers, it could be difficult for you to take care of the inventory timely. This can be possible when you have an ad server of your own, you can take care of all the ads at one place. This will make your work easier and organized and minimize wastage as low as possible, and you will get a note of how the inventory is performing. Having an ad server brings you a good amount of independence and care. In a broader perspective, this will help you know how to go ahead to survive your business. It helps you plan for your business effectively. Ad servers are useful for your business. If you own a small business, ad servers will make the job of posting your ads easy, and enable timely and appropriate targeting websites and their audiences. Having your own ad server will help you save the expense which otherwise would be too heavy to bear for a business of your size.